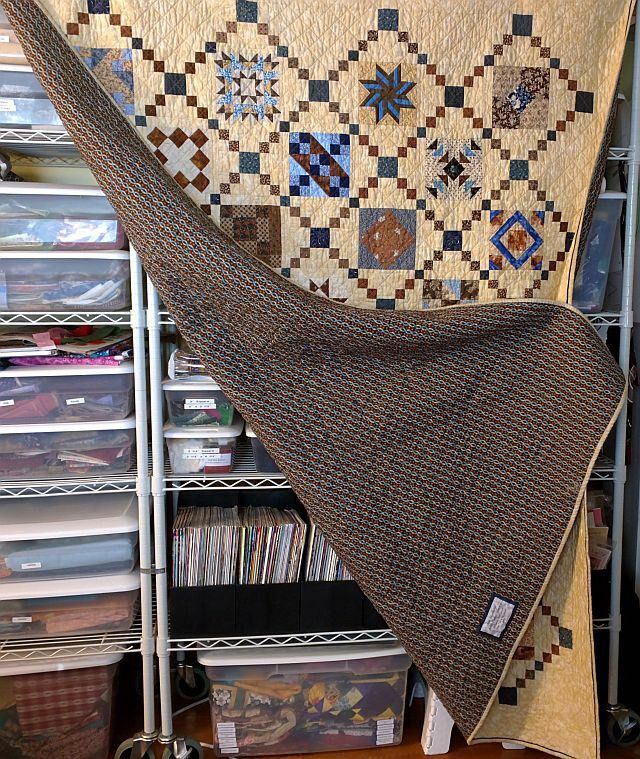 This quilt is from the Sylvia’s Bridal Sampler Swap Blue & Brown Swap back in October 2009. Looking black through the blog, it seems I made my blocks that August and September, 6 of 5 different blocks, then I made 2 more after the swap to have enough to complete this layout. The blocks are from around the world – Australia, Canada, Ireland, The Netherlands, and the USA. 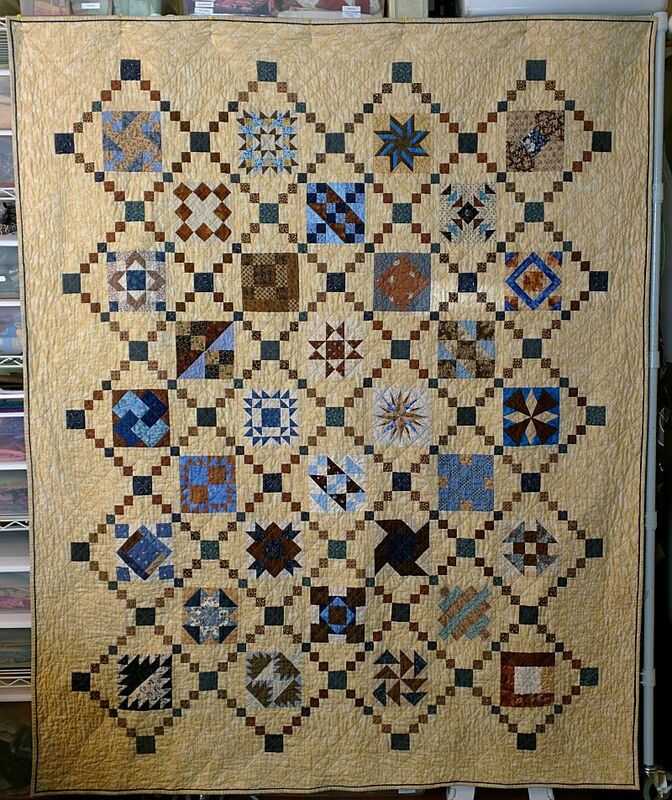 I made the setting blocks at a quilt retreat I went to in April 2012, but it still took me until that November to complete the top. The backing is a braid/cable print that I picked up while on a quilt shop run at the retreat. This quilt is on my list for the 4th Quarter Finish Along – I’m sending it to Aunt Marti for the UFO Parade. It’s also being sent in for the 2015 UFO Busting over at Field Trips in Fiber. It is part of the scope creep of the Crazy Challenge II which started August 15th. You’ve made this quilt look gorgeous! I like the setting chains and how you quilted it. 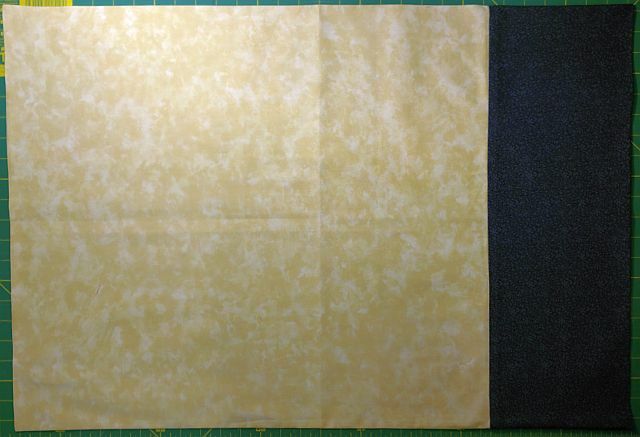 Congrats on making the stitched binding, looks like the easy way. I’ll have to try it sometime. Your setting was an inspired choice and worth taking the time to get right, you really made those quilt blocks sing! 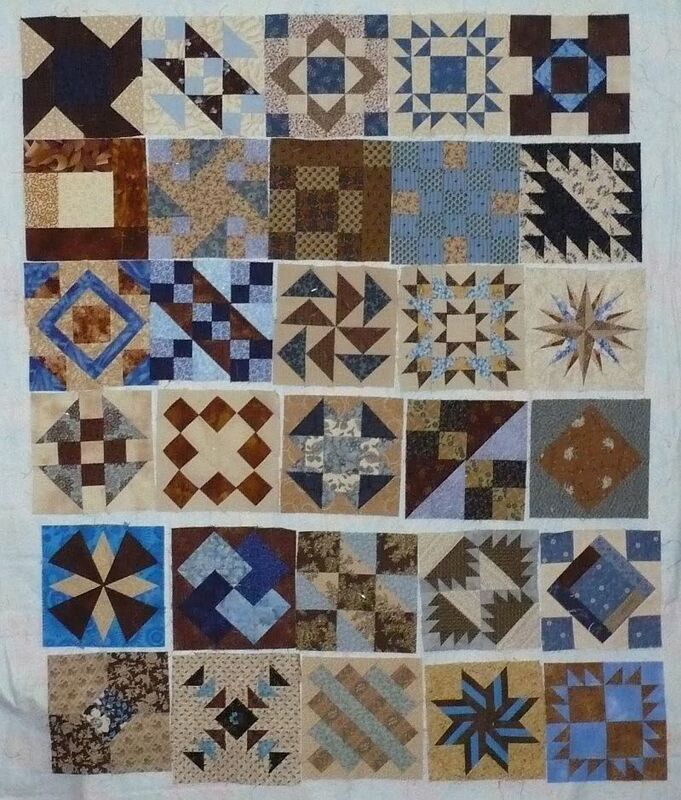 I love the colour combination too, I made a quilt with a similar colour palette for my brother’s 60th birthday last year.